Friday not only begins the holiday shopping season, it is also the opening of Winterfest in Hartford's Bushnell Park. There are still two more days to skate at the Winterfest Hartford ice rink. 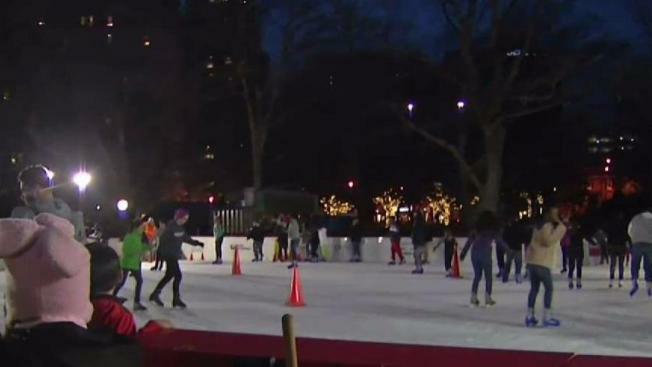 The rink at Bushnell Park will open Saturday, Jan. 20 and Sunday, Jan. 21 for one final hurrah before the end of its season. The rink was originally scheduled to be open last weekend, but the dates were postponed due to the weather. Winterfest Hartford kicked off on Nov. 24 and was initially scheduled to end Jan. 2 but due to its success and popularity, it was extended. Organizers say over 35,000 took advantage of the rink this season. NBC Connecticut is proud to be the official television partner of Winterfest Hartford.